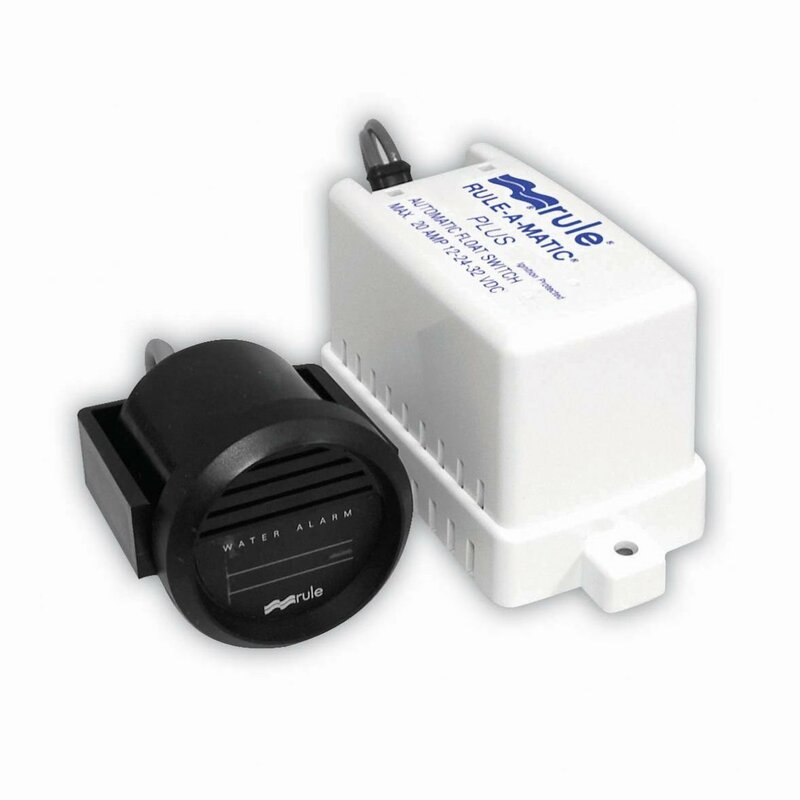 The High Water Bilge Alarm consists of a non-mercury float switch and an in-dash gauge that features both a visual and an audible 85 db alarm. This unit allows an unmanned compartment to be constantly monitored. For additional compartments, add additional Rule Float Switches. Complies with CFR 182.530 which requires a visual and audible alarm in each unmanned space on commercial vessels at least 26' (7.9m) in length. Switch turns bilge pump on when water level reaches 2" - turns pump off when water level reaches 3/4"